@puppylove The Maytag 20 Cu. Ft. 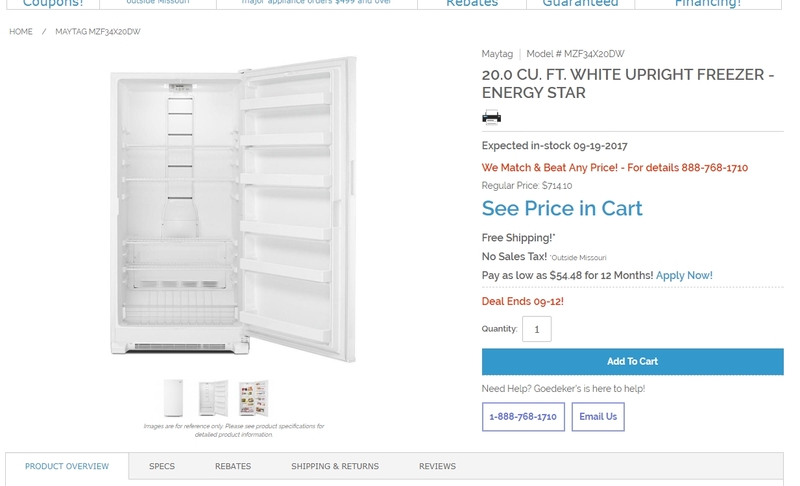 Frost Free Upright Freezer With LED Lighting at Goedeker's is $586.09 when you add the item to your cart. The price will be shown when you click on your cart. Jonas Kingo No Code Needed. Discount Apply Automatic in the Cart. not be combined with other offers.